UNITED NATIONS, Apr 8 2019 (IPS)* – As it paves a destructive path against international institutions and multilateralism, the Trump administration is slowly but steadily undermining the United Nations and its affiliated agencies. MADRID, 6 April 2019 (Pressenza)* — “We seek to give form -in process- to a social fabric empowered by the strength of the whole,’ according to Figueroa. 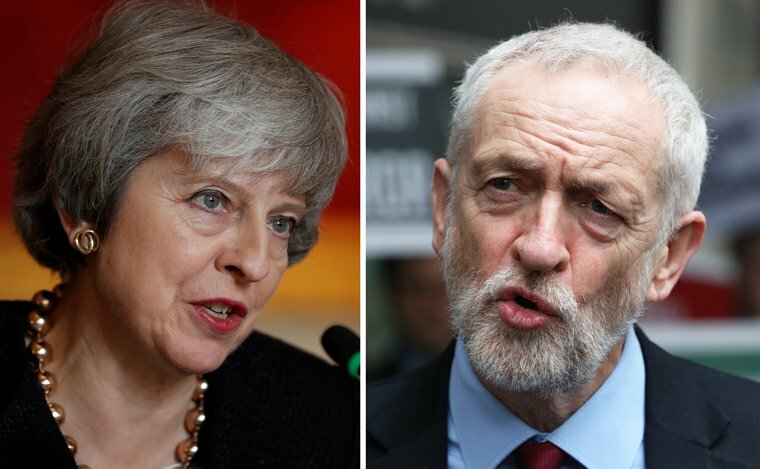 Theresa May and Jeremy Corbyn | PA Images | Images from openDemocracy. 6 April 2019 (openDemocracy)* — We are in a radical moment. The planet is burning. Inequality is biting. Nationalism is on the rise. Resurgent but nostalgic ideologies, from statist socialism to the nationalist right, will fail to meet these challenges. The former saps freedom and innovation; the latter is obsessed by vilifying ‘enemies’ rather than providing real answers. At their extreme edges, they both pose a serious threat to democratic norms and practices.